Our school was SO excited upon coming back from Winter Break to find a much-anticipated play structure on our playground! 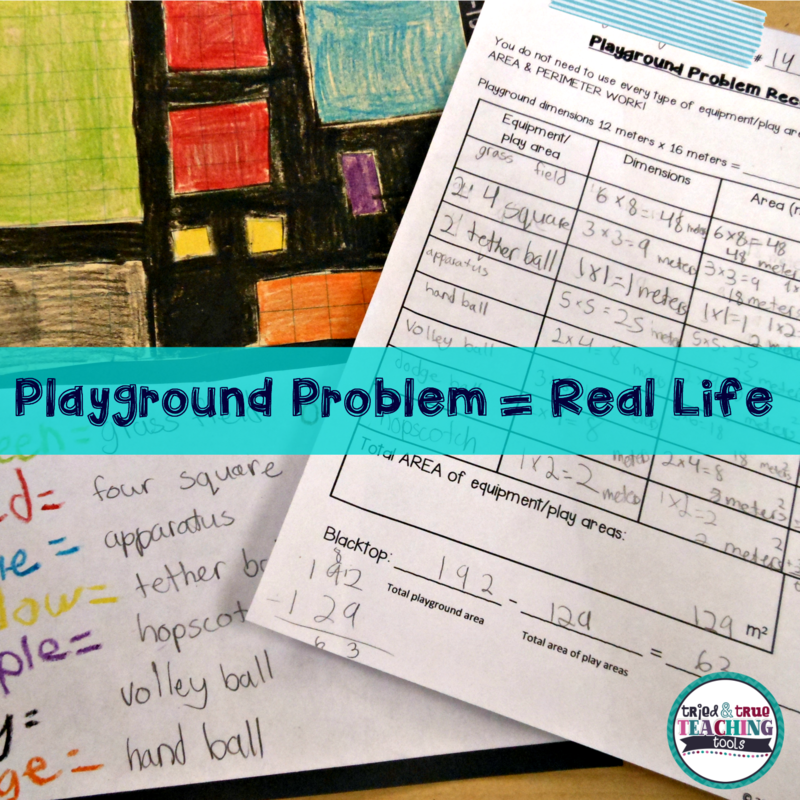 Our booster club has been fundraising for quite a while to install a play structure; so this was the perfect time to reinforce area and perimeter practice into a real-life problem. 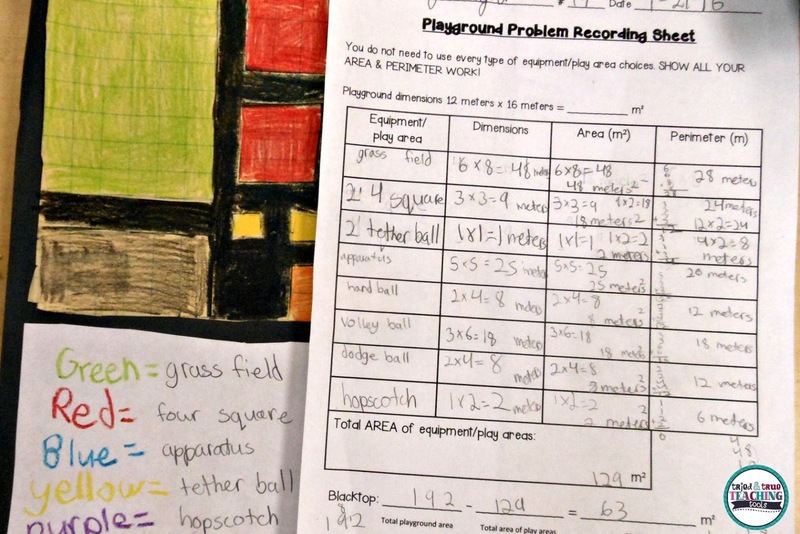 The playground problem poses the task: to design the ideal playground with a variety of play areas, well-spaced, and with specific dimensions or area. 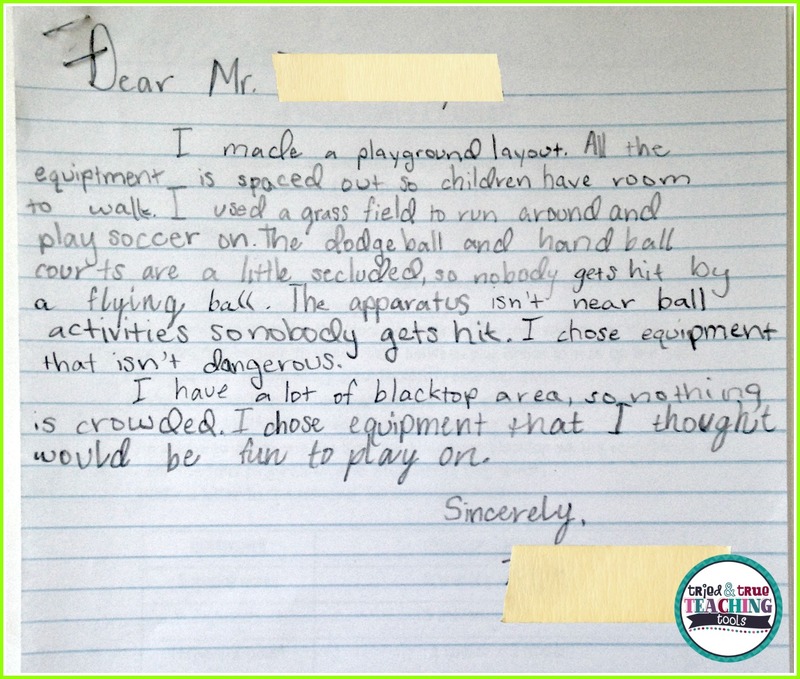 Students must also write a letter to the principal, justifying their selection of play areas and dimensions. This is a great lesson in understanding that the same area can have different dimensions, which will affect the play area space. Students first decide which areas they want, and which play areas work best near each other. They need to leave walking room between areas. Then they need to calculate the area and perimeter of each area. 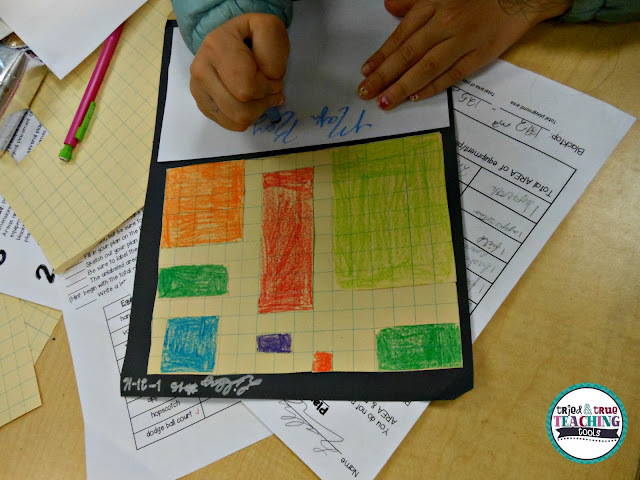 You would think that using graph paper would make it easy to physically count the units, but it is still quite a challenge for many students! 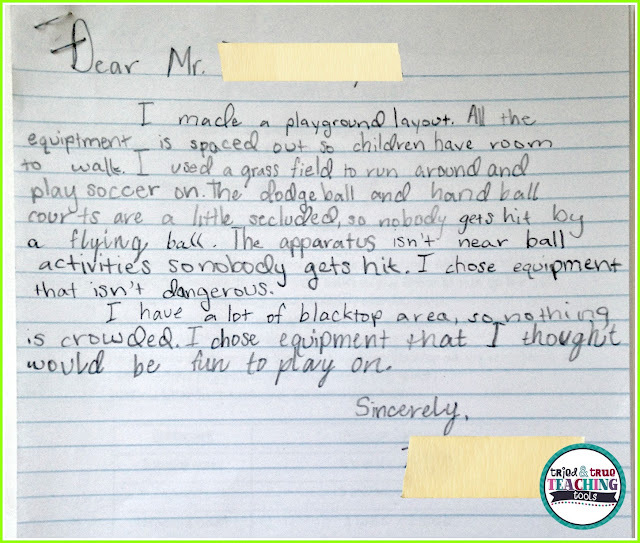 My kids are always a little intimidated that they need to write a letter to the principal, explaining their playground design. They definitely take more care in their writing! 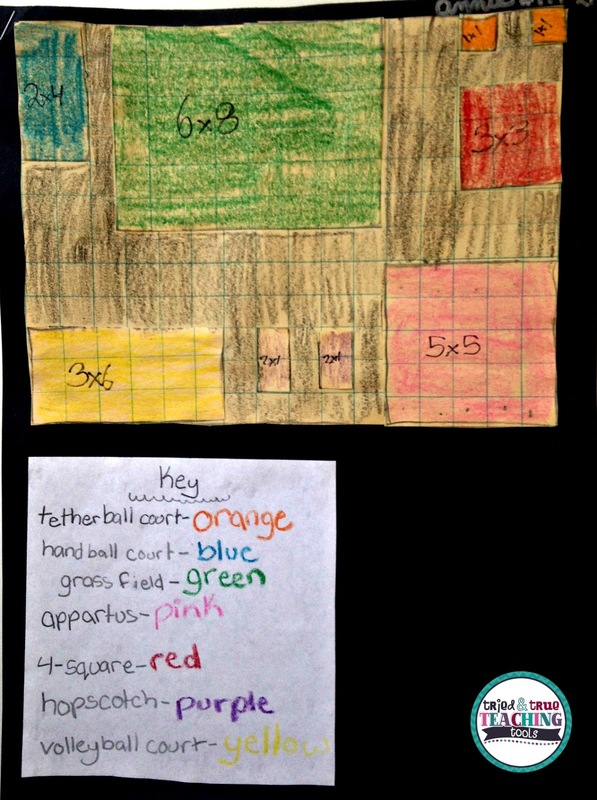 This area and perimeter Playground Problem will soon be part of a complete product that will include fractions and decimals, but you can grab your copy as a freebie here. 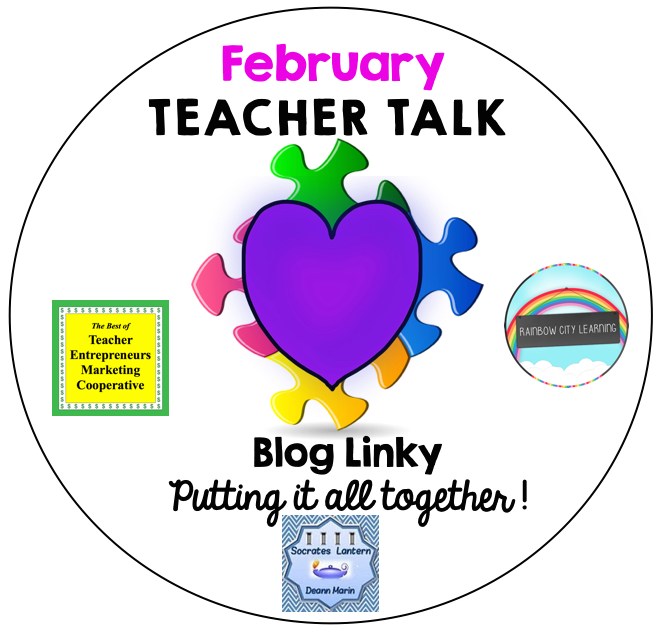 I hope your students enjoy this challenge! Be sure to check out the other wonderful ideas below! Thanks, Deann! 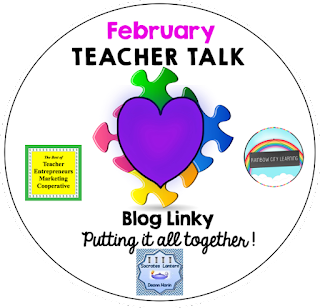 The students do love this project! This definitely uses many skills! Thanks for stopping by, This! I like this idea better than what I've been doing! Very meaningful to them! Oh good; I hope you have your students try this! Thanks, Tammy! I love the student buy-in on this project! Teachers don't steal. . . we borrow & tweak it to make it our own :) Thanks for stopping by, Kerry!